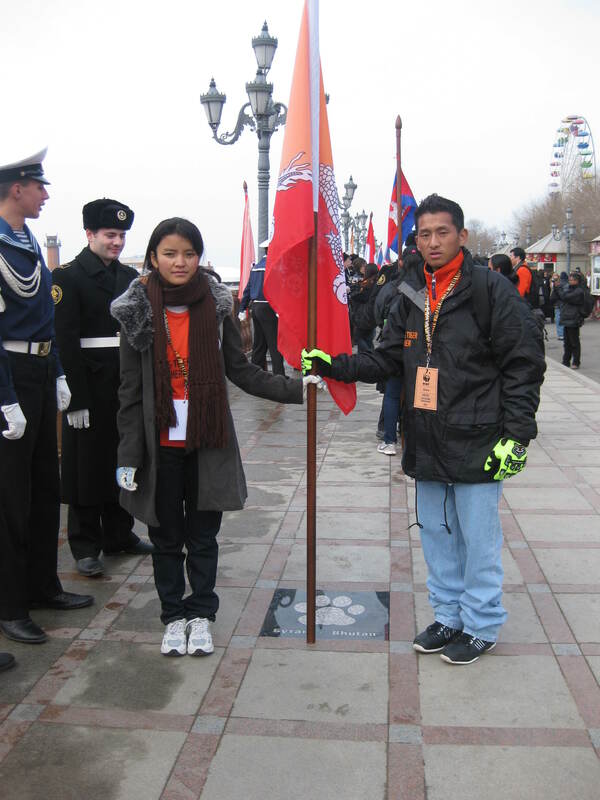 On November, 2010 world leaders from thirteen tiger range countries (TRCs- Bhutan, Nepal, Vietnam, Myanmar, Malaysia, Indonesia, China, Russia, Bangladesh, India, Thailand and Laos) met in St Petersburg, Russia for an international tiger conservation forum. With only about 3200 number of Tigers left in wild the sole aim of this meeting was to develop a plan to double the numbers by the next Tiger lunar year, 2022. Prior to this global meeting, individual TRCs prepared global tiger recovery programs detailing their comprehensive actions plans to help tigers recover from decades of poaching and habitat destruction. The pre summit planning was possible with funding from World Bank, the Global Environment Facility and WWF. From Bhutan, a five-member delegation led by agriculture minister, Lyonpo (Dr) Pema Gyamtsho attended the meeting. Two youth delegates from Bhutan also attended the Youth Tiger Summit in Vladivostok where they presented their appeal via a video link to the delegations in St Petersburg. During the summit, the 13 tiger range countries agreed to meet again to secure additional funding for their recovery plans. During the next monitoring meet in December 2011, the delegations will finalize a long-term financial plan. WWF to spend USD 50 million over the next five years on tiger conservation, and set a goal of increasing that to USD 85 million. This historic forum hosted by the Russian government, secured USD 127M towards the implementation of a global tiger recovery programme. Even so, there is still an urgent need to fill the current funding gap of USD 35 Million (PLoS Biolog).